Most senators will take quick, on-the-fly questions from journalists in the hallways of the US Capitol. But a small group still refuses to regularly engage with the press. Many of the senators would not address why they will not take questions like the majority of their colleagues in both parties. WASHINGTON – In addition to press conferences and speeches, one of the easiest ways for journalists working in the US Capitol Building to get quick reaction from senators is by conducting short hallway interviews on the fly. But a small few from both sides of the political aisle refuse to take questions in hallways. “Some reporters who cover other branches of the government find the hallway chase demeaning, but most Hill reporters find it the best part of the job,” wrote longtime Capitol Hill reporter Jennifer Steinhauer wrote in The New York Times. Some members are highly accessible and will offer candid remarks on any topic at almost any time, like Sens. Lindsey Graham and Tim Kaine. Others offer short, punchy responses, likes Sen. Tim Scott or Richard Blumenthal. A small group, which includes Republican Sens. Ben Sasse and Dean Heller, will often bypass reporters altogether by entering the chamber through different access points. Sen. Marco Rubio often uses a special entrance due to his increased security detail as well. The number of senators who shy away from the press used to be bigger. As Politico reported in 2013, some senators like Texas Republican Ted Cruz and Hawaii Democrat Mazie Hirono were always tight-lipped in hallways. Those two have since opened up and started talking to reporters. In addition, newcomers who at first shied away from questions like Arkansas Republican Tom Cotton have began engaging more in recent months. Some members are hot and cold. Sometimes Sen. Bernie Sanders will take questions and many times he will not. But there is still a small contingent who will not talk no matter what. Utah Republican Mike Lee offered a more detailed response as to why he avoids reporters in the Capitol tunnels. Lee added that it is an annoyance when reporters interrupt his private conversations. Minnesota Sen. Tina Smith, a Democrat, is following in the footsteps of her predecessor, Al Franken. Smith retained much of the same staff as Franken after he resigned in January, who will hush reporters looking to ask about policy and Senate business. Smith echoed her staff when asked about her opposition to hallway questions on Monday, insisting that she is “so busy” when travelling to and from the chamber. A spokesperson for Smith did not respond to a follow-up email. 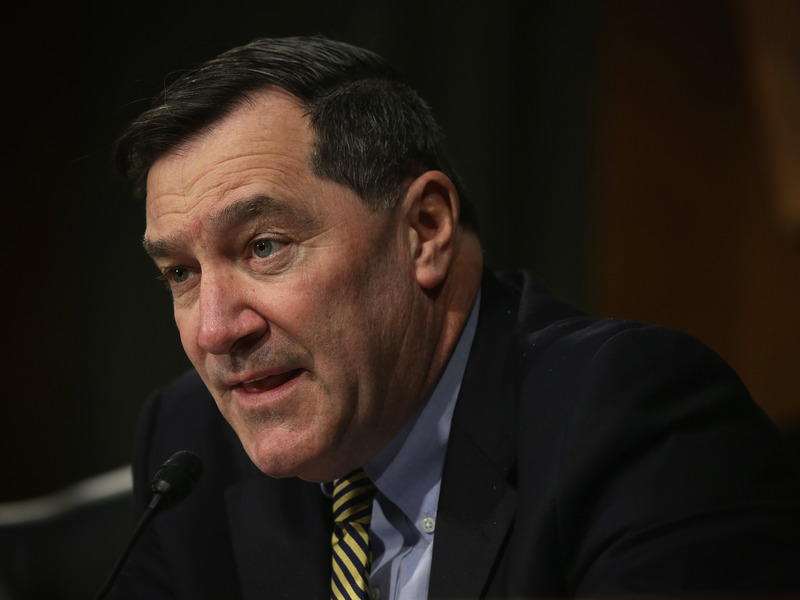 Sen. Joe Donnelly, a Democrat up for a tough reelection bid in Indiana this year, told Business Insider to contact his office about why he will not talk to reporters. A spokesperson for Donnelly did not respond to request for comment. And one of the easiest ways to spot a rookie reporter is seeing them try to grab an answer from Massachusetts Sen. Elizabeth Warren on her way to votes. Senate regulars know she never takes any questions, instead having a staffer refer you to her communications team. When Business Insider asked Warren on Tuesday why she does not conduct hallway interviews, she chuckled, said, “Such an ironic approach,” and kept walking. 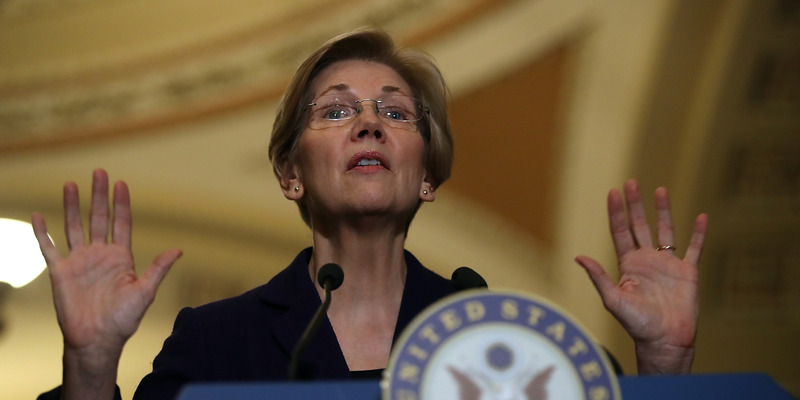 A spokesperson for Warren did not respond to a follow-up email.